This is crucial. 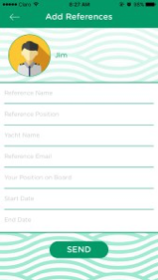 Crew who check in more frequently will have their profiles appear at the top of the list. Check in whenever you think of it, because you never know who will be looking in the right place at the right time. 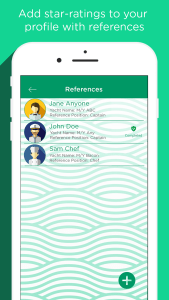 Did you know about reference request feature? These reviews will give you star ratings next to your profile. This will make your profile stand out above the rest. These can either make or break your profile. Choose the right photos for your aesthetic that also highlight your skills. Show yacht related skills like food preparation and table decor. This could be adventurous skills like diving or fishing. If you choose the right photos, it will make your profile visually appealing and make you stand out as a candidate. Doing these three simple things will help your profile more than you think. 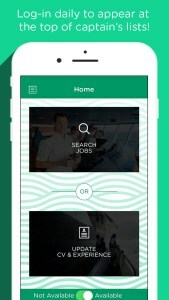 Update your profile now or download the Cotton Crew JOBS App to get started! Use the top left toggle and select “References” to begin the process. 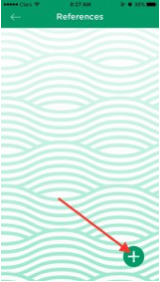 Press the “+” button at the bottom right of your screen to add a new reference. Type in the information for your new reference. Then press send. It’s as simple as that! Once the captain completes the reference, you’ll be able to see a “Completed” status next to the reference name. Upload your references today to make your profile shine!